Ellen’s story was featured in The Independent on July 31st and a number of comments follow the article. Several express sympathy for Ellen and her family, some share their own experiences of being shamed. Many, many clients report experiences, like Ellen Bennett, of medical issues being attributed solely to excess weight and of being routinely shamed when they go to the doctor. And then there’s this: “It is not ‘fat shaming’ to tell a massively overweight person they’re damaging themselves”. Another reads: “Of course they ‘fat shamed’ her. Being fat is not healthy and medical professionals are there to do what they can to try to keep people healthy”. Comments like these are a drop in the ocean – every day there are numerous incidences of fat shaming in public and in private. I have one question for anyone who thinks it’s acceptable to shame others about their weight. Please explain to me how it helps someone to diminish and shame them. What do you believe the result will be? Will they suddenly “see the light” because of your comment and immediately set about losing weight? You don’t shame people into better self-care. Chances are the person on the receiving end of your shame grenade has experienced a lifetime of shame before you came along. What’s most likely to happen is that they’ll retreat and do the only thing they know how do to deal with challenging feelings – eat. It’s not just ill-informed comments on the internet like the ones above that are harmful. It’s also those “well meaning” remarks from friends and family who claim to be “helping”: “don’t you think you should lose some weight?”, “should you really be eating that?”, “I’m just helping you to make better choices”. It’s not helping, it’s shaming. As a psychotherapist who works only with people with overeating issues, I’ve heard countless experiences from clients of being shamed by their friends and family as well as by medical professionals. Although there are some doctors, nurses and other medical practitioners who understand that binge eating is a psychological issue and are supportive in this regard, they appear to be in the minority. Some avoid seeking medical help because they fear being shamed. And their fears are real – one client who went to see her doctor about a matter unrelated to weight was reduced to tears in front of her children because she was shamed repeatedly for being fat. The experience of being misunderstood, humiliated and dismissed by people who are supposed to care when you’re battling with a complex psychological and emotional issue like binge eating disorder is soul-destroying. I know, I’ve been there. It’s a lonely and degrading place. You’re subjugated into silence as shame floods your body like a tidal wave. Of course, not everyone who is overweight will have an eating disorder. Some may have medical issues that make them put on weight, or be taking medication that does. Others may just prefer being bigger. The thing is you don’t know. You don’t know what their experience is, you don’t know if they’re in therapy for an eating disorder and your comment might trigger a relapse. Binge eating is as much a sign of psychological distress as anorexia and fat shaming only adds to that distress. Working through your overeating issues is challenging. Counselling requires you to reflect deeply and explore what’s really going on underneath that’s manifesting in a dysfunctional relationship with food. That’s why I feel privileged to work with my clients. They have the courage and intelligence to take responsibility for their thoughts, feelings and behaviour. How many people who fat shame can say the same? It’s simpler to condemn than to understand. It’s easier to attack than to empathise. There’s no better way of attempting to alleviate your own sense of shame than by dumping it on someone else. As for the argument that obesity costs our health services a lot of money, I would say this: what’s the cost to our health services of bullying, narcissism and insensitivity? “That’s not a thing”, you might say. Really? Or are you just unaware? In my experience, it’s the people who are unaware of the damage they do who do the most damage. There is no shame in not being thin. There is never any justification for fat shaming. To my clients and anyone else struggling with emotion-driven overeating I want to say this: you know the truth. You don’t have to allow shame to diminish you. It’s OK to calmly and assertively explain your experience and there’s really no better way to heal shame than to talk about it. If we don’t speak up, how will they learn? To Ellen Bennett I’d like to say thank you and may you rest in peace – your death matters, your life matters, you matter. Because we all matter, regardless of what size we are. ‹ PreviousHow Does Writing Help Us Heal? Next ›How Do You Measure Success? Julie, this post is so meaningful to me for so many reasons. For years my mother struggled with her personal physician (who tried fat shaming her) while she had major hip issues. The doctor told her that she could not get an MRI because she was “too big” for the machine, so she could not refer her to a surgeon. For years she suffered. Finally my sister (an R.N.) was able to get her into a surgeon who told her he could operate immediately (she’d been receiving cortisol shots which would wear off after a few weeks and she’d be in excruciating pain again). The surgeon said he could see the deterioration of the hip without an MRI, it was clear from the x-ray. Fortunately she no longer has the same primary care physician, who basically treated my mother as though she did not deserve relief from her pain, because she is obese. To me, that was malpractice. My mother has been told by many people, family members, society in general, that she is too fat, and that her health problems are “her fault.” She tries to eat healthy, and yet a lifetime of some big physical challenges (knee surgeries and injuries) have complicated her attempts to lose weight. I love her dearly, and she is one of the kindest most thoughtful people I know. Shaming has never helped her. Indeed only compassion can help, as shame makes all of us feel worse, and probably less motivated to act in healthy ways. So sad to read your Mother’s experience, Cristy, thank you for sharing it, I’m glad to hear she finally got the treatment she needed. I can understand that people get frustrated if they view it simply as a “weight problem” which is really unhelpful. For so many people it’s a complex psychological issue and, as you say, what’s needed is compassion not shame. Thank you for your thoughtful comment, Dutch (hope it’s OK to call you Dutch). That Frost quote is just wonderful and very empowering for anyone struggling with this issue. Thanks for clarifying! I wasn’t sure whether to call you Larry or Dutch, so I’ll stick with Dutch in future. Thank you for your lovely comment, I’m very touched. That’s a good point, Lorraine. Many thanks for your comment. I think people do this in order to feel better about their own insecurities. I would agree – putting someone else down is usually about the other person elevating themselves in an attempt to alleviate their own sense of shame. Thanks for your comment, Jim, good to hear from you. Great article. I can tell this is something you really care about. And you are so right, shame only makes matters worse. I have been seeing more articles about this in the media so maybe things will eventually change in this regard. Thanks for speaking up for many who cannot! I really appreciate your support, Merri, it means a lot to me. This is something I feel very strongly about – there have been so many instances of clients who are really engaged with therapy and working hard being set back by a shaming experience. It comforts me to hear that you’ve seen other articles along this line, I hope that means that the tide is turning. It would be nice, but unfortunately, it will never stop. People these days are not only encouraged but championed for fat shaming others. With all the talk about universal healthcare, they talk incessantly about diabetes, they are afraid that all the fat people will take all the money out of the pot for others healthcare. Fat people are easy targets, even though all shapes of people get diabetes, heart disease and other ailments. It would be nice, yet, it will never happen. Your post was very nice and touched me deeply, but as a fat man, I know firsthand the hate that can easily be tossed my way. Thank you for sharing your experience, I’m sorry to hear it but I think it will resonate with a lot of people. I think I might be a little more hopeful than you that attitudes can change, I suppose it’s important to me to believe that it’s possible. Many thanks for your comment. I don’t disagree with you. I just quoted my own experiences. It would be nice. Soul destroying is the word. I’m curvier, I was always found wanting. Especially with model thin cousins. Now I shop, dress and celebrate myself curves and all. No one would dare tell me anything otherwise now. I’m lovely and I know it. My body, even when I am emotionally bereft and seek love and comfort in food, is mine, nourished and loved, despite the indulgences. You’re an inspiration, Kavita. We shouldn’t allow anyone to denigrate our bodies and that includes ourselves – I love that you appreciate, value and celebrate your body. Thank you for sharing your thoughts, lovely to hear from you. Sadly, I would have to agree that it seems acceptable to shame people who are overweight in a way that it is no longer for other members of society. Health is usually the justification as I highlighted in my post, but it’s just unhelpful and damaging. I really appreciate your feedback, Patti, thank you for your kind words. I agree, it doesn’t help to “fat shame” anyone, or to shame someone in any other way, either. People do all have value, and size doesn’t have a thing to do with it! Nice post…..
You’re right, it’s not OK to shame anyone. Many thanks for your comment, Ann, great to hear your thoughts. I think fat shaming just shows the ignorance in society in the deeper, underlying issues. It’s far easier to rush to judgement and rely on stereotypes and degradation. It’s awful that so many of your clients have experienced shaming by friends & family & medical professionals, because the first two should have more compassion and the latter should have more understanding. Sadly it’s just not the case. I do think more needs to be done to highlight issues around control, self-loathing, depression, anxiety, comforting oneself, loneliness, etc, and how these can often underpin eating disorders that can, in some cases, lead to such people being fat shamed in the first place. It’s not acceptable. Brilliant post! Hi Caz, thank you for your thoughtful comment. 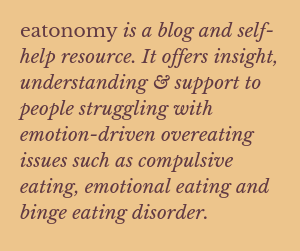 I would absolutely agree that there needs to more understanding generally around depression, anxiety and other mental health issues that are often underlying eating disorders – I can tell you’re passionate about this subject and I think it’s wonderful. You also make a really valid point about understanding around physical conditions too. There are many women, like me, who have underactive thyroids and PCOS – conditions that make you put on weight very easily but make it so difficult to take it off. I remember a consultant saying to me “even if you ate nothing, you’d put on weight” – fat shaming only adds to the pain and difficulty of these conditions. Great post and something I’ve done a lot of work around for myself and on my blog post. Most of us do things that are unhealthy…we all have bad habits or behaviours. Eating too much/too little, drinking, smoking, working out too much, being sedentary, etc. But for some reason being overweight seems to be vilified more than any others. People are not given proper health care when they are bigger because the focus is purely on weight and not on anything else. Is the advice given the same as would be given for people who appear to be of a ‘normal’ size. Fake concern and health trolling is just a matter of course for many folk online…no matter what their platform or message is. Yeeesh. It’s heavy work! You’re welcome, Jenny, thanks for your excellent comment – I can tell that, like me, this is something you feel strongly about. I love that – “love is the only ballast against fear”, what a wonderful statement. Many thanks for your comment, Tina, lovely to hear from you. The last line of your post really does say it all, Julie. We all matter. Thanks for bringing awareness to the emotional scarring that can result from fat shaming. Thanks, Christy. It worries me that young girls especially grow up with the idea that only thin matters and that it’s shameful to be anything but thin. I hope we can move towards greater body diversity and acceptance. What is it, that is said, quoted by Jesse Jackson ““The only time you should look down at someone, is when you are helping them up.” That says it all really. Society loves putting people down, as one of your posters has already said, because it makes them feel better about themselves. Great post Julie. What a fantastic quote, I love it. Many thanks for sharing it, Rory. What a beautiful post about such a sensitive subject which gave me goosebumps. Thanks for sharing. You’re very kind. Thank you for your comment, lovely to hear from you. I don’t normally do this… so much so that I don’t know if I’m doing it right. But here goes! This is an excellent blog post! Check out Julie’s blog space. It’s fantastic!